We have accidentally deleted some form submissions and we want to know if there is a way to retrieve the deleted entries. Unfortunately both items are not possible in JotForm. For number 2 question we can only track the date it was last saved but not the changes done. For number 1, if in case you have deleted your submission by Delete or Delete All, it will be automatically deleted from our servers with no recovery chance. However, if you have managed to download the submission records in the past via Excel, CSV or PDF as indicated from the image above, then you can find your backup from these files. 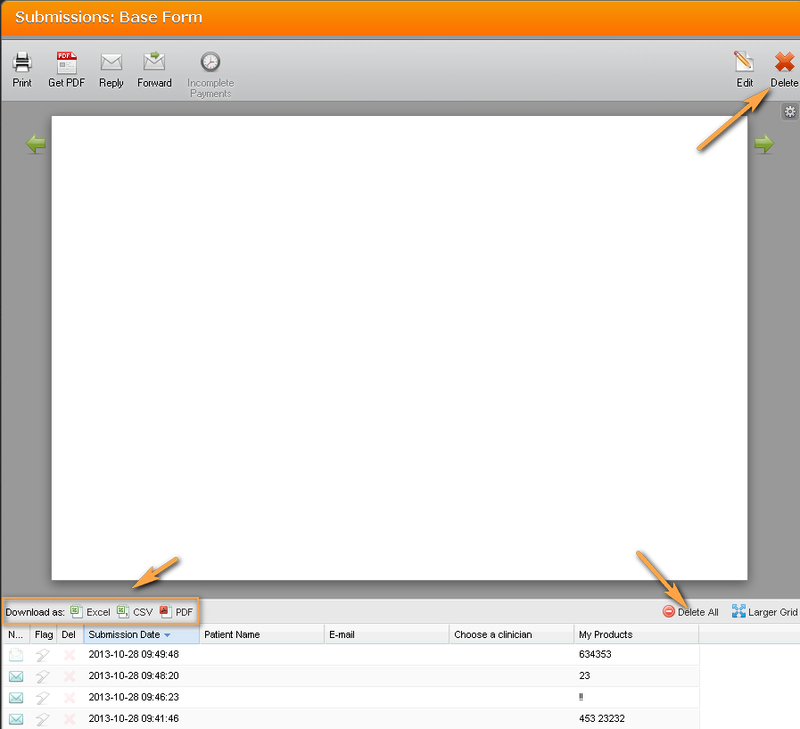 Since each JotForm when initially created contains atleast 1 Notification template by default and it should send a copy of the submission into your email. Please check there if you have not deleted it on your email. With these you can retrieve deleted submissions from our servers.